We welcome you, this is Rabboni TV we thank God for bringing us together. In agreement we are bringing down strong holds today, we are destroying everything. In agreement, in love, we are finishing everything that is standing against us. If we love one another that is when the world will know that we are from God, by the authority and power given unto us, I declare you blessed. Thank you for tuning in. God loves you so much and you are blessed from above; God is with you! Pray, a prayer of thanks giving. We do not murmur we are not like the Israelites who murmur. They receive answers that limited God from performing fully in their lives. God is able to give Himself to us. Thank you Jesus! In maturity when we pray there is no prayer where we do not thank God – in maturity we thank God. When you are here, even though there is no money in your bank account, thank Him for the billions in your account. [Colossian 4:6] it says, “Let your speech be seasoned with salt,” for where there is no salt there is no cleanliness, there is bacteria. When we pray with thanks giving there is nothing that you will say that God wouldn’t be pleased with because you trust Him. Murmuring causes God not to operate fully! 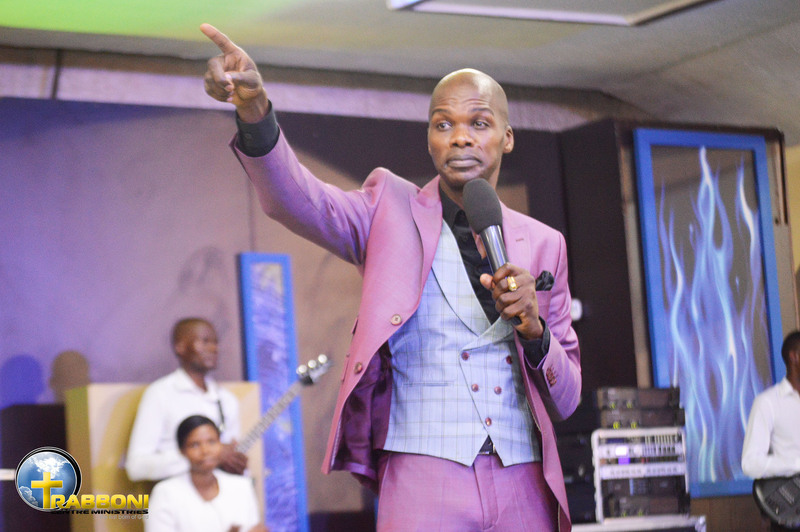 When the Israelites were crossing on dry ground that was nothing, they were followed by a cloud it is nothing and received manna that was nothing because they received when murmuring. Full performance is when you walk on the water, but because you doubt me I will come with something that comply with your mind, so if you do not doubt me I will show you who I am. By thanking Him, we thank God for answers that are not there; they saw themselves walking out of Egypt, and running out of Egypt but in [Exodus 18:4] God said, “I bore you on eagles’ wings and I brought you to myself,” with God all things are possible. Jesus did not have to take the bread and fish and say I go to pray but immediately when He received the bread and the fish there was multiplication. [2 Corinthians 7:1] it says, “Therefore, since these great promises are ours.” While you are reading the Word, just acknowledge knowing that these great promises are ours. They belong to us, so why say, ‘Father give them to me?’ Thank God for the treasure! This month many people are facing a lot of challenges but thank Him for your school, thank Him for your registration, thank Him for buying a car! The fig tree was cursed; it says it was not its season to bear fruit but when Jesus came He expected to see fruit. When people buy uniforms, buy uniforms and also go to a boutique and buy yourself something nice. When there are no people in restaurants I want you to fill the restaurants. I declare such overflow upon your lives, extreme glory of the presence of God, despite hot or cold. I declare victory whether there is recession or not. When people cannot afford, you can. There is power in the name of the Messiah! I declare every chain broken in your life. You will get a surprise; you will find yourself affording when people cannot. Nothing will deceive you, you will afford to lose everything that is wrong and receive what is right. Everything that is not right, anything that contaminates you, you will afford to lose it but if you are dead there is no reason to lose. I am making these declarations, I want to see the Messiah in your marriage, the Messiah in your family and the Messiah in your education. I declare you blessed!